Congratulations to everyone who qualified for the USABO Semifinals 2018! 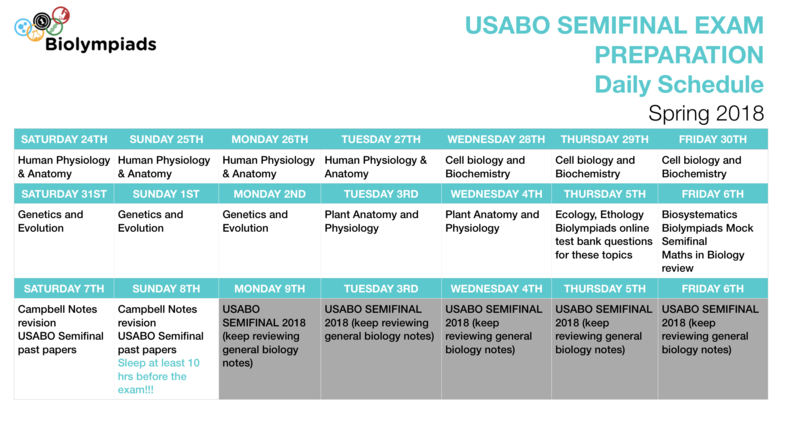 Many students are wondering what the best way to prepare for the USABO semifinals is. To those who are trying to prepare for semis, keep in mind an important date: April 9 to 13, 2018. This means you’ve got only two weeks and your preparation should be very focussed. I built a study schedule and I am sharing key links to crucial study resources for USABO.